Dr. Pfeil, a general practitioner, has been a medical institution in my German hometown for as long as I can think. I never really knew him though since I went with my troubles to Dr. Ertz, the other local medical institution. Like The Beatles and The Rolling Stones or Michael Jackson and Prince, it was one or the other. My mom took me to Dr. Ertz when I was a little boy and that was that. 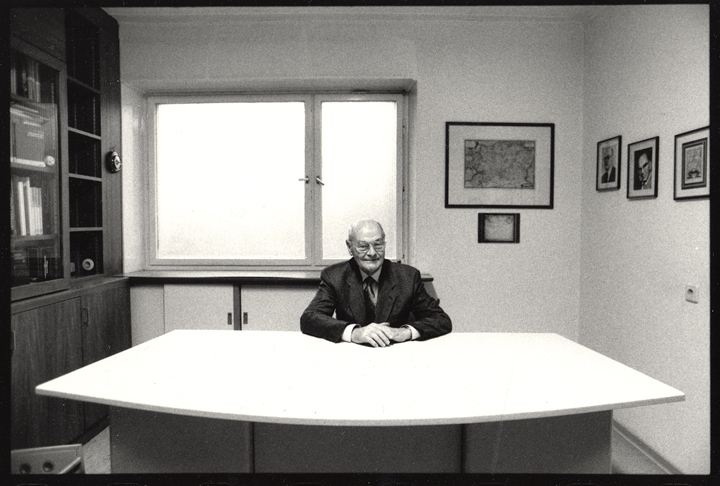 In one of my early works I photographed Dr. Erzt and the mother of all desks. A few years ago though I started to get to know Dr. Pfeil, through a common friend. 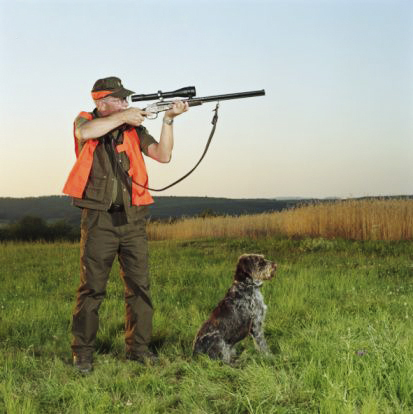 He is a passionate hunter and has a great dog (always a good sign in my book) named Quitte. The Doctor and his family including the dog modeled for me on a few occasions and Quitte (which is the German word for Quince) actually ended up on the cans and boxes of a line of German dog food with this idyllic shot. 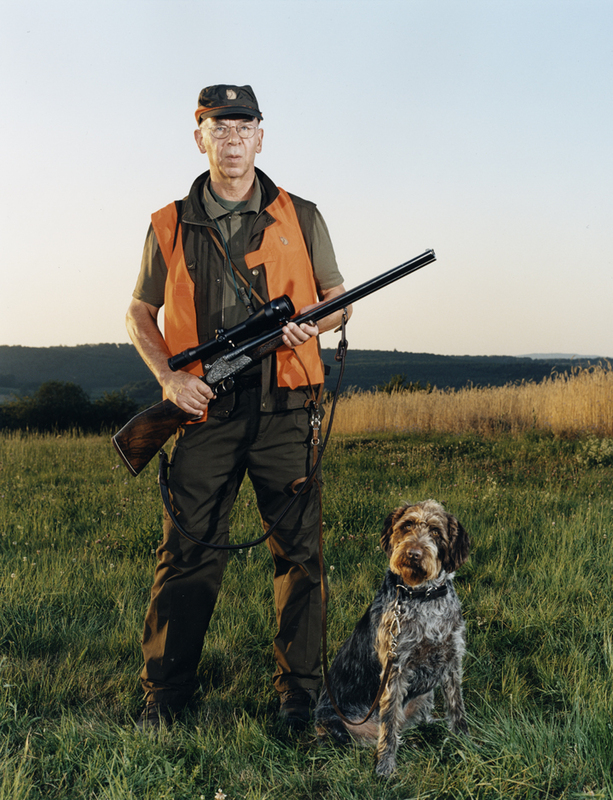 In any case I wanted to shoot a somewhat formal portrait of Doc and Quitte and after picking his best looking rifle we walked to the edge of a nearby field. We positioned 2 heads on a Profoto 7b and 2 heads on a Hensel Porty around the two, but made sure we didn’t overpower the lovely evening light. 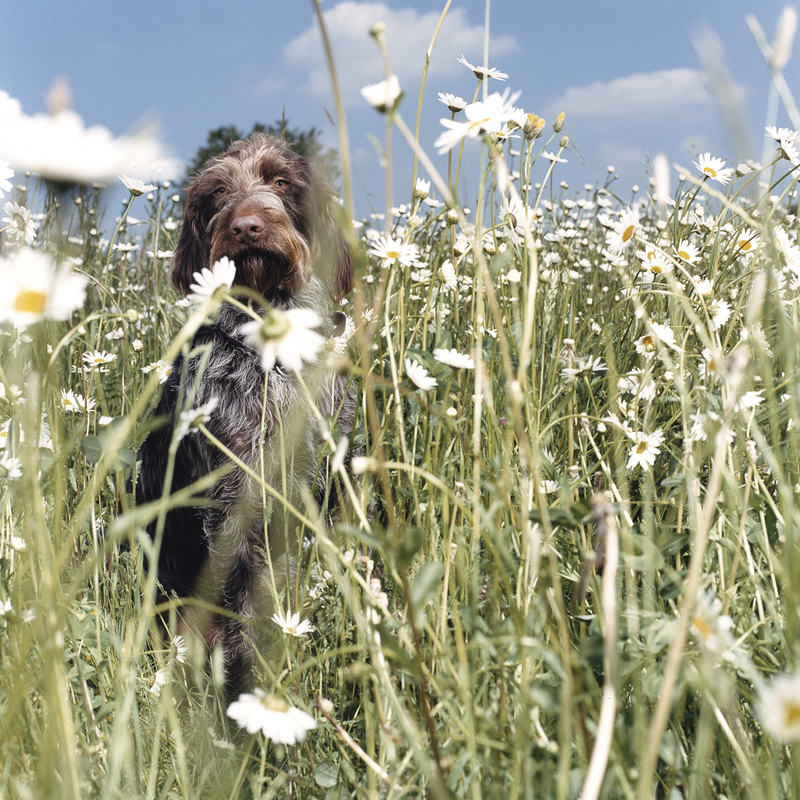 We shot with a Rollei 6003 with an 80 mm lens on Kodak Portra NC 160. Both were a pleasure to work with and I really enjoyed our time together, but then again I might feel different about them if I was a forrest dwelling quadruped.